Popular Linux game Frogatto has been updated to version 1.1 bringing in new features and fixes. 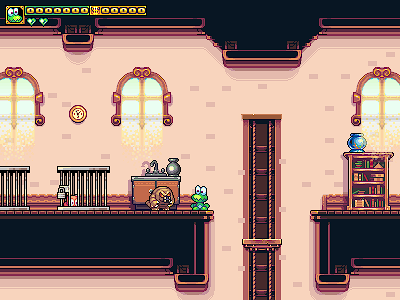 Frogatto & Friends is an old-school 2D platformer game, starring a certain quixotic frog. The world is viewed as a cross-section seen from the side, and your character walks and jumps between solid platforms whilst fighting monsters. It's a big adventure with all the classic fun - you fight monsters, collect coins, talk to people, and buy new stuff.